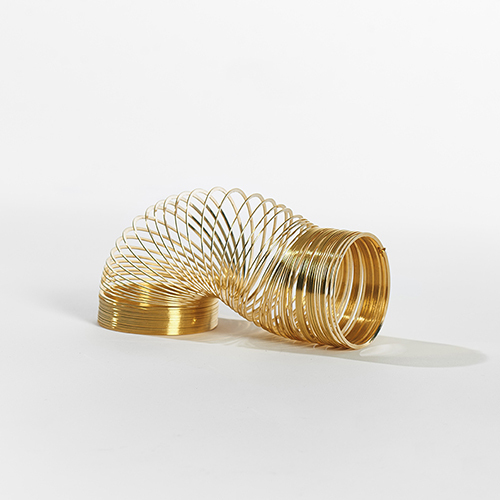 This 14-karat gold plated original Richard James slinky is must have for all mid-century aficionados and collectors of design history. Toy history was made when Richard James conducted an experiment with tension springs. During the experiment, one of the springs fell to the floor and began to "walk". 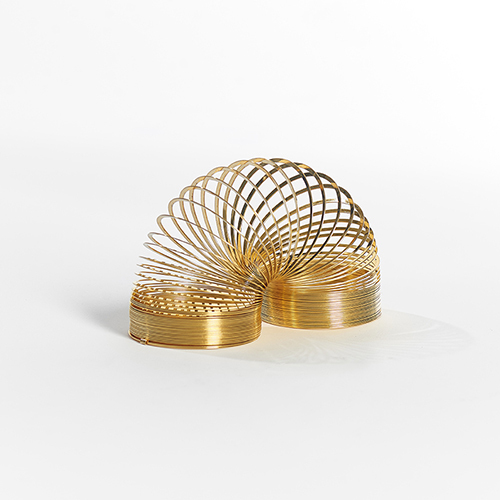 The Slinky debuted 1945 at Gimbals Department Store in Philadelphia, Pennsylvania.